Create a custom design wall sticker using your own pictures, photos or sketch designs. High quality wall stickers and decals at great prices. Custom text stickers. Have you got a favourite phrase or quote? We can create wall art quotes just for you! Including personalised name designs too! 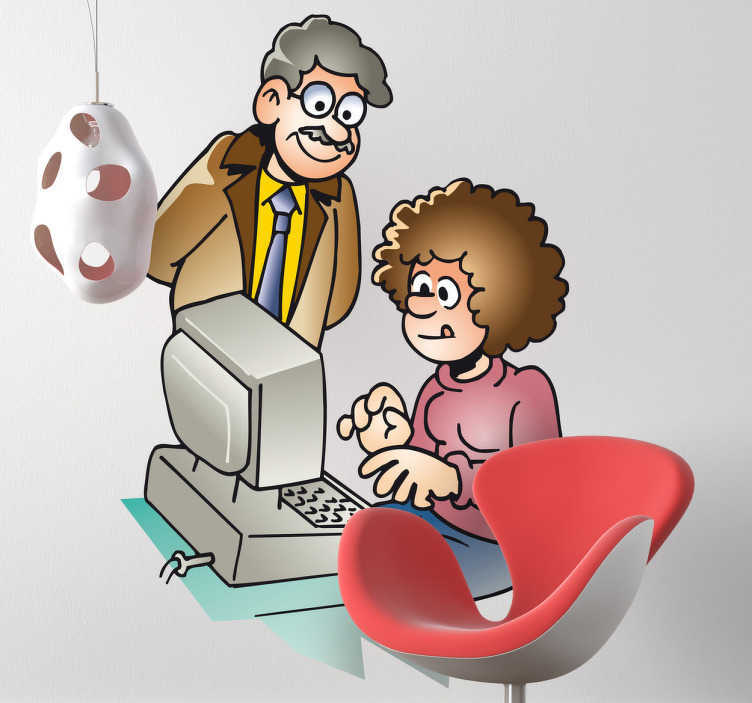 Wall Stickers - Illustration of a teacher helping a student on the computer. Available in various sizes. Decals made from high quality vinyl. Easy to apply and if needed easily removable. Suitable for decorating furniture, windows, appliances, devices and more. From 08:00 to 16:30 Monday to Friday.